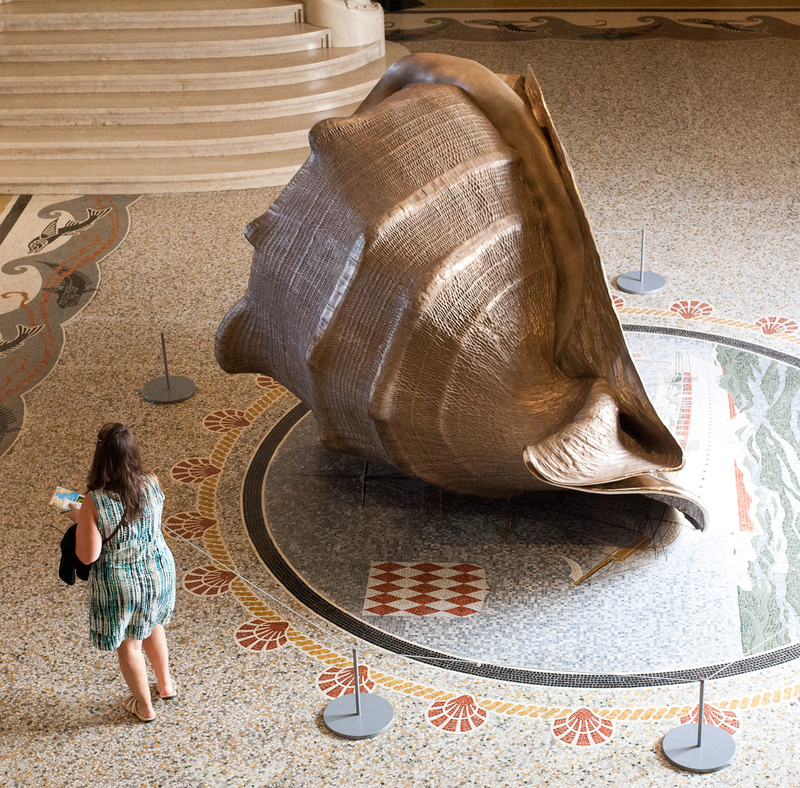 Yesterday, we saw a real shell (cassis madagascariensis) from the 17th century that had been carved into a cameo. Today, here is a sculpture from the Marc Quinn exhibition showing exactly that same species of shell but somewhat larger! It's made of bronze and is called The Origin of the World ( Cassis madagascariensis) Longitudes. It stands just inside the entrance of the museum. 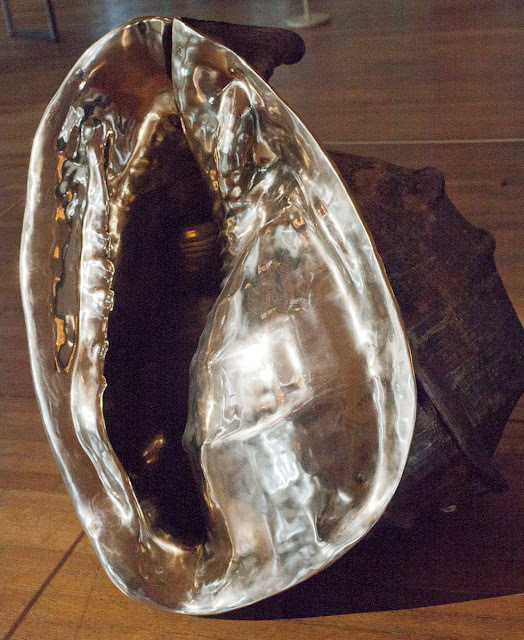 Much of Marc Quinn's work ties in beautifully with the permanent exhibits at the Oceanographic Museum. Hope to visit the museum this year! How long is the Marc Quinn exhibition on Jilly? - my wife and I are back again next month, staying in Beaulieu for 10 days,and would like to catch this. Andy, it's on till the 15th October.